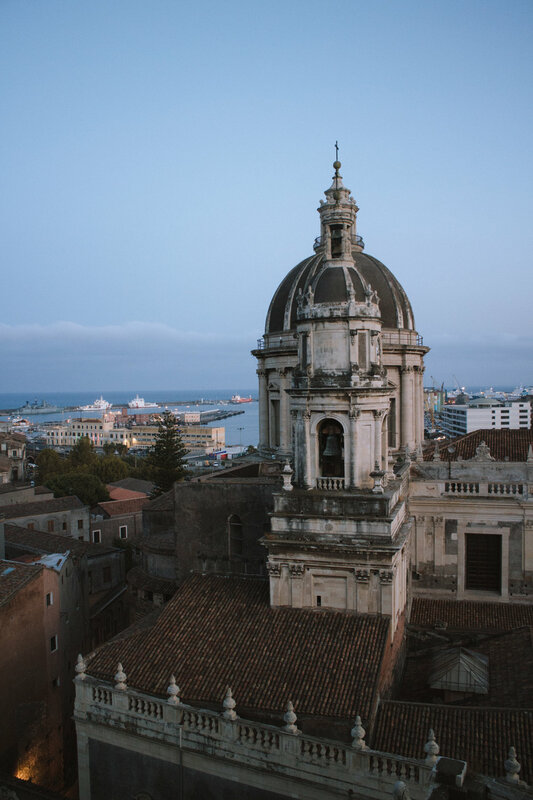 Catania is pretty pretty, infact the rooftops and architecture and atmosphere can easily bring out any inner romantic. Exploring the city we wandered through the streets in the early evening. 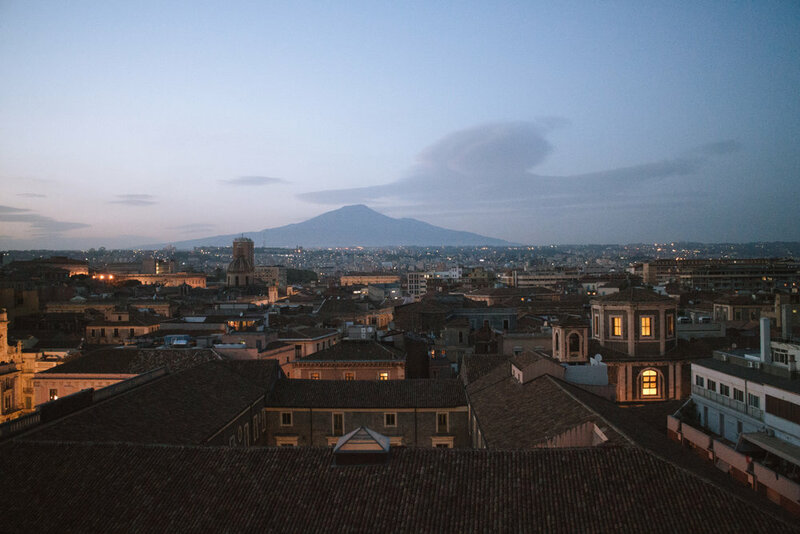 We agreed that the rooftops would be the best spot to watch the sun dip behind the Volcano. 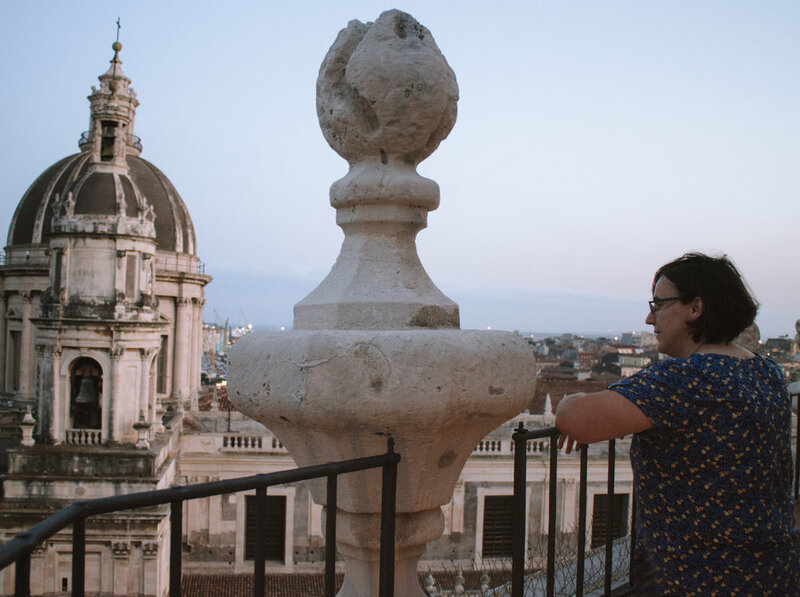 Looking at the cityscape of Catania it is evident that the highest spots are the church spires. Having G as our guide and sharing this beautiful city where she lived and thrived as a young Engineering Student also gave us a little insight into the best spots to observe sunset. 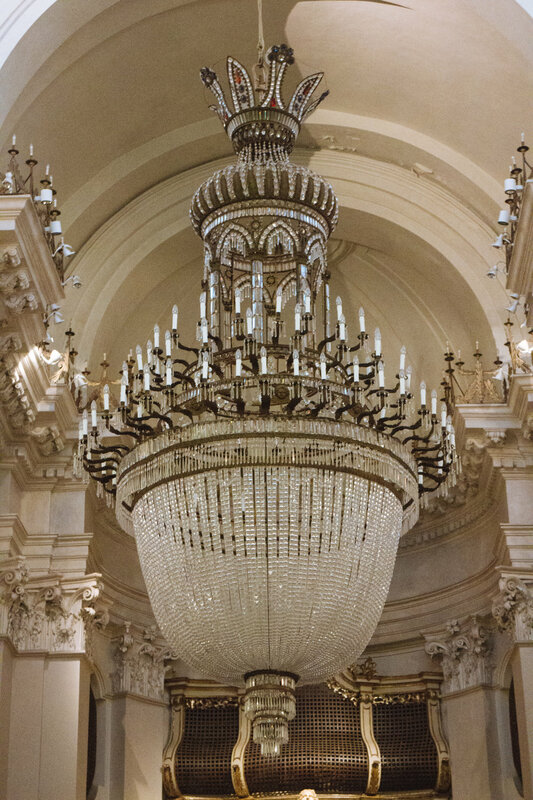 As with any Italian church, or infact Italian anything, beautiful elaborate design considerations are a part of everything. While travelling around this beautiful island design considerations remained in the back of my mind, with the work on Pointers End progressing into final estimates and budget preparations at the same time my mind is conscious of the design considerations that must be made. Now, the last thing I would advise anyone in the same position - stay clear of Italian architecture. My mind was running amuck, considering upgrades of low profile environmentally considered LED lights for full on chandeliers. The rustic exposed beams in the original 1850s house and modernist exposed steel in the new part of the house should just be entirely upgraded for columns of carrera marble. With my mind racing with inspiration we ascended a tight narrow winding staircase. 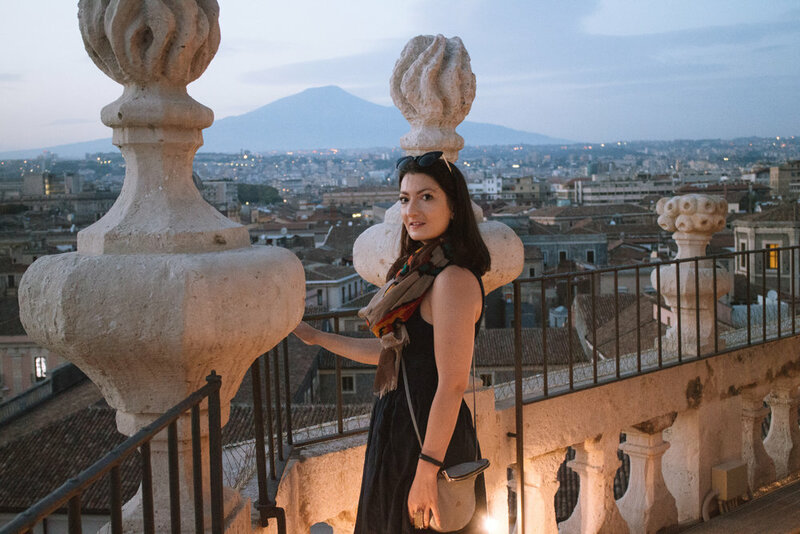 We raced up the spires of Church of the Badia di Sant'Agata to view out over the city and get the perfect view over to Etna. We stood watching the sun fall lower and lower, the light falling beautifully over the historical stonework and buildings. Etna, in all her beauty stood as a reminder of the force of nature and how we are powerless to resist her when angry. Actually, same probably goes for me, but G had promised Gelato so I was incredibly content. We descended the spiraling staircases back to the lower levels of the church. 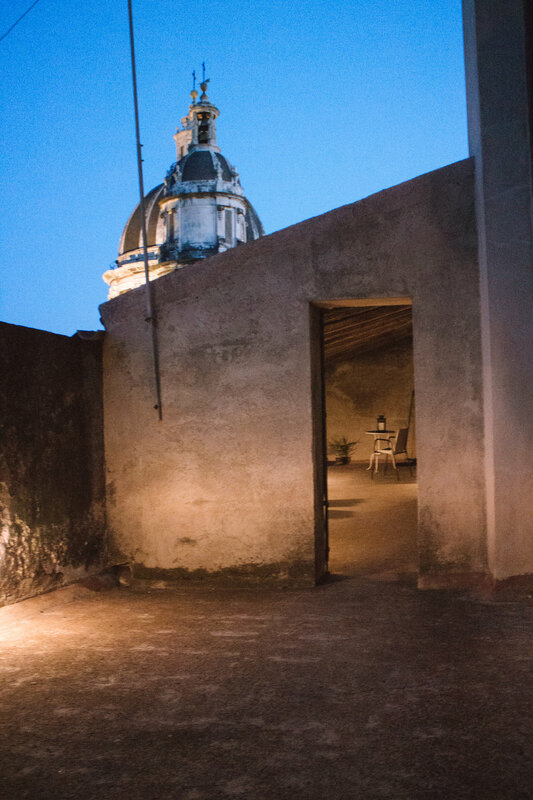 Passing beautiful scenes as people prepared for evening ceremonies and religious persons quiet study in these beautifully lit simple rooms. With the sun below the horizon we returned back to the streets of the city and meandered in search of dinner, gelato and a good read.